If you live in Chicago or Austin, you now have a reasonable way to get to Europe without spending a fortune. Forget about air fares in the thousands and think in terms of hundreds (dollars, that is). Named the World's Best Low-Cost Long-Haul Airline and Value Airline of the Year 2018, Norwegian recently launched two new routes from Chicago and Austin to London. These flights began March 25 and March 27 respectively. 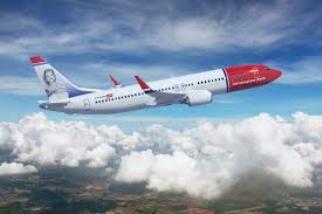 Norwegian is the first low-cost airline to offer transatlantic service from both cities. “When we initially announced our new Chicago service back in July 2017, we did so with four weekly flights. However, due to high demand, we increased our offering to daily service. In Austin, we're only the second airline to offer year-round transatlantic service, and our goal is to increase frequency in the near future. Both of these cities have great growth opportunities,” said Thomas Ramdahl, Norwegian's Chief Commercial Officer. One-way economy fares from Austin and Chicago start as low as $194.90 and $159.50, respectively, and include all taxes. The lowest one-way fares in Norwegian's Premium Cabin to London from Austin and Chicago start at $689.90 and $579.90, respectively, including taxes. Premium service includes dedicated check-in, additional luggage allowance, fast track security, lounge access where available, priority boarding, wide recliner seats, all meals and drinks. Norwegian now offers nonstop flights to London from 11 U.S. cities. Flights from both Austin and Chicago also connect well with Norwegian's flights to Denmark, Finland, Norway, Spain and Sweden. Norwegian operates one of the world's youngest fleets, and flights from Austin and Chicago will be operated by brand-new Boeing 787-9 Dreamliner aircraft. All flights are now available for sale at Norwegian.com/us. Additionally, the website's low fare calendar displays the lowest available fares to all of Norwegian's destinations. Passengers on all of Norwegian's routes are eligible to join Norwegian Reward, the airline's loyalty program and can earn CashPoints every time they fly, stay at a hotel or rent a car. Additional 2018 European launches from the U.S. include: Denver to Paris (April 9); Oakland/San Francisco to Paris (April 10), Boston to Paris (May 2); New York/JFK to Amsterdam (May 7); Los Angeles to Milan (June 17); Los Angeles to Madrid (July 15); and New York/JFK to Madrid (July 18). 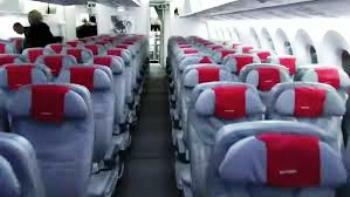 Norwegian is the world's sixth largest low-cost airline and carried around 33 million passengers in 2017. The airline offers 40 nonstop routes from the U.S. to London, Paris, Scandinavia and the Caribbean. Norwegian was named the Most Fuel-Efficient Airline on Transatlantic Routes by the International Council on Clean Transportation (ICCT), and it has been voted 'Europe's best low-cost carrier' by passengers for five consecutive years at SkyTrax World Airline Awards. Find out more at www.norwegian.com. Which airports do you love (or hate)?